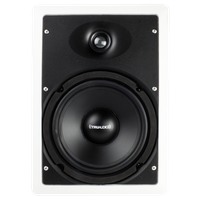 No need to worry about freeing up shelf or floor space with our in-wall series of speakers. 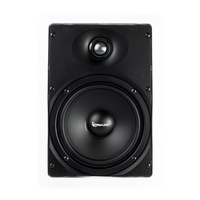 In-wall speakers are ideal for a more direct field of sound and a "sweet spot" for stereo imaging. This makes you feel more like the band is live on stage in front of you. Our (3) different in-wall series vary in size and design, creating versatile options based on your room's layout and your performance goals. 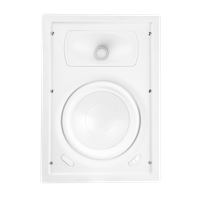 2 way in-wall speaker, 6 1/2" poly woofer, 1" silk soft dome swivel tweeter. 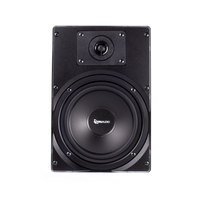 5 - 100 watts, 8 ohms. 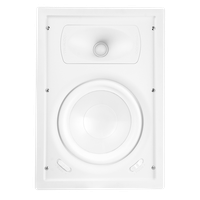 2 way in-wall speaker, 6.5" woofer, 0.75" mylar tweeter. 5 - 60 watts, 8 ohms. Sold each.